When police investigated a possible drunk driver they had to help a man into their vehicle because he was unsteady on his feet. Jakub Topor (22), whose address was given as Avondale Manor, Craigavon, was banned from driving for 12 months at last Wednesday’s sitting of the local magistrates’ court. He was also fined £350 for driving with excess alcohol in his breath on March 4 this year and was also ordered to pay a £15 offender’s levy. The court heard that at 3.10am police received a report of a possible drunk driver at Meadow Lane in Portadown. 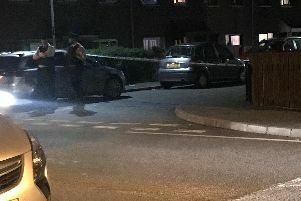 Closed Circuit Television confirmed that a car had reversed into a wall in a car park and the driver got out of the vehicle to check the damage. He was unsteady on his feet and then he left the scene. Police located the car parked in Bridge Street. The engine was off but the keys were in the ignition and the car was warm, the court was told. There was a strong smell of alcohol from the vehicle and Topor failed the initial roadside breath test. He had to be helped into the police vehicle because he was unsteady on his feet. An evidential test gave a reading of 62 microgrammes of alcohol in 100 millitres of breath - the legal limit is 35 microgrammes. Mr Pat Vernon, representing the defendant, said his client had been at a disco. He added that Topor was returning to Slovakia permanently in two weeks time.